Get started on WP Engine now. Get started on Web Hosting Hub. Ready to get started with a web host? Our hosting experts have compiled the summary table below to give you a quick overview of how the year's top hosting services compare to one another. As you review each provider, consider their pricing and feature sets, as well as our expert ratings. 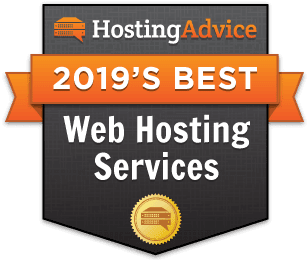 Looking for something other than best web hosting 2019? Telling someone what I do for a living is always an interesting experience. Either we’re totally in sync, both lost in conversation about WordPress woes or some time-saving program update, or it’s me talking with crickets in response. There’s just something about web hosting. It’s hit-or-miss whether someone is up to speed on the nuances of all that this industry has to offer. This is unfortunate because, these days, owning a website is becoming a crucial part of running a successful business, and more and more folks are establishing a web presence for their personal brand as well. You can use hosting to sell online, store and share your portfolio, or even publish your freelance writing samples and resumé. Yet, even the basics — What is web hosting? — can be lost on the average web user. Here we cover all the types of hosting services imaginable, and the top hosts that offer them, for small businesses, personal use, enterprise, and beyond. We consider the best website hosting providers to be the ones who deliver the most value to the customer. Now, value can take many forms — maximum resources for minimal cost, uptime reliability matched with incredible support, or an all-around exceptional user experience. The best hosting companies do it all. Shared hosting customers typically expect downwards of 30,000 monthly site visitors, and they don’t want to pay an arm and a leg to receive them. For that reason, many of the most affordable web hosts include a free domain name registration and other free amenities in their shared hosting plans. Shared customers are often first-time site owners as well, so assistance in getting a site launched and promoted is extremely useful. This is why iPage excels in shared hosting — offering a free domain; unlimited emails, storage, and site traffic; and $200 in free advertising to kick off your new site. VPS, or virtual private server, hosting is best known as the bridge between shared and dedicated servers. As such, it’s ideal for sites that are experiencing growth and whose owners want help in continuing to scale that traffic down the road. InMotion Hosting VPS plans tout free SSDs for up to 20 times faster hosting, cloud-based high availability, and snapshot rollbacks for instant reversion. All in all, stellar uptime rates, top-of-the-line hardware, and performance-enhancing resources are a sample of the features that get hosts like InMotion atop our VPS reviews list. Finally, the big-girl hosting service: Dedicated server plans are for folks whose web properties are so resource-intensive and expecting so many visitors (+100,000/month) that they require an entire server solely dedicated to hosting their one, or many, site(s). Dedicated is typically the most expensive of the hosting types, so the best dedicated hosts make it worth your while. You can expect 99.999% uptime, market-leading hardware, a redundant network, and ultra-reliable support with InMotion. Domain hosting is just the service allowing your domain name, e.g., iheartelephants.com, to live online. You don’t have to actively maintain a website or get a lot of visitors, but you want your domain hosted on the web. The best domain hosts make this economical by offering perks like a free domain registration. The world’s #1 domain registrar GoDaddy is a natural choice for domain hosting due to their low cost and impressive set of features specific to domain management. Traditional web hosts like iPage include a free domain name with all shared hosting plans — and iPage does so for all shared, VPS, and dedicated hosting users. If you’re not building a site for business, maybe it’s blogging that’s got you web host shopping. Blog hosts we recommend offer 1-click installs for your choice of blogging software, easy-to-learn website builder tools with tons of design themes, and an unlimited amount of storage space. Wannabe bloggers often have their eyes on popular blogging platform WordPress — one of the quickest and easiest means of getting your ideas online. InMotion Hosting preinstalls WordPress for you at checkout, and they offer support that’s tough to beat. One of the top website builders around today, Weebly is ideal for bloggers who want drag-and-drop simplicity in customizing their blog site. With iPage, you get the top-recommended Weebly site builder, thousands of customizable themes, and the ability to get your personal blog launched in minutes. Finally, there’s Wix. Unlike WordPress and Weebly, Wix is a browser-based platform, so you log in online, choose your theme, drag and drop to customize, and hit “PUBLISH.” Launching a blog is that simple. The platform is self-hosted, so you don’t have to think about what the servers are doing behind the scenes. Whether you’re running a business or establishing your personal brand identity, having an email account at your new website’s domain can be a powerful marketing and communication tool. We look for features like unlimited email accounts, webmail access, SPAM filtering, and virus protection as we sift through providers to determine the top email hosting companies. Whether it be for personal or professional use, email hosting with iPage means a free domain name, unlimited emails hosted at that domain, unlimited hard disk space, and a free gigabyte of cloud storage. If you’re a small business, web hosting is an important investment. You need a design that’s in keeping with your brand, the means to easily update and maintain the look, marketing resources for attracting site visitors, and hardware that’s going to keep you online and open for business. Below we cover the best hosts for the job. Aptly named the “Best Host to Grow With,” HostGator is one of the most well-known and well-respected web hosts in the industry. Their plans include user-friendly Weebly site builder, no contract commitment, and unlimited storage, emails, and site traffic. Start with shared hosting and grow your business to dedicated-server scale, and the HostGator team will be there to help you grow every step of the way. Business owners need hardware that holds up and a team that will be there when it does and when it doesn’t. Reliability and support are king when it comes to hosting for business. SiteGround developed several in-house innovations that put them ahead in this market, including a unique technology to actively monitor their servers, preventing downtime in real time, and custom software for live chat and support ticketing. These examples of going the extra mile for the user have resulted in 99.996% uptime annually and exceptional customer support around the clock. Read our review for more on why SiteGround is a stellar choice for small business hosting. If you want to talk scaling, you need to consider cloud hosting. This particular niche of the hosting market is the most difficult to explain and can be the most advantageous for customers with specific needs. Rather than storing data on physical servers, cloud customers are hosted on a connected network of virtual machines. The service is software-independent and perfect for folks who benefit from high availability and on-demand, pay-as-you-go resources. Ranked #1 for cloud-based VPS hosting, InMotion offers performance-enhancing SSDs, free data backups, and managed server options. The best web hosts on the market include these web builders in their service offerings. Some include popular existing site builders like Weebly, while other hosting teams have engineered their own platforms for website design and development. For example, 1&1 has 1&1 MyWebsite, and InMotion’s BoldGrid sits atop WordPress for a more intuitive experience, whether you’re building your first site or your fourteenth. For many customers, possibly the most influential variable in evaluating a hosting service is cost. Cost can drive conversion, but cost can also cause you to make regrettable purchasing decisions. Don’t assume the cheapest option you can find is the best. Low cost can also mean low value, but not with the affordable hosts atop our recommendations list. Yes, you can type “free website hosting” into a search engine of your choice, and you will get results. Don’t do it. At best, you will be stuck with shoddy service, semi-reliable uptime, and ridiculously short-lived storage and bandwidth capacities. The free options out there will frustrate you, and putting yourself through that makes zero sense when you can have quality hosting for as little as $2 a month. The few dollars it requires to afford decent hosting each month is so worth it. If you’re serious about starting and maintaining a website, you have to be able to cough up the five-or-so bucks a month it’ll cost you. Keep in mind, though, the cheapest service in existence isn’t guaranteed to be the best. We weed out the crap hosts from the cheap hosts with a metric called value: Which host offers customers the most reward for the least dollar amount? We take into account free features, base-level support, and how substantial the hardware is, leaving hosts like iPage and Bluehost leading the market. Whether I’m geeking out with Ryan, Laura, and the team, or sketching out server diagrams to explain the basics to my grandmother, talking about a career in web hosting is always a creative endeavor, and I love it. Hopefully, this guide has cleared up some of the common confusions of hosting services, and you’re ready to sign up with the web host that best fits your upcoming site needs. Whether you’re just getting started with shared hosting, ready to scale up to VPS or dedicated, or thinking about blogging with WordPress, our reviews have got you covered for every stage of your site’s life cycle.